The Sportsman pom-pom custom toque is your go to custom promotional item for giveaways or employee swag. 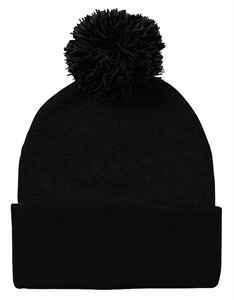 The 100% acrylic is a one size 12” knit customized toque that comes in various colours and colour combinations. The added pom-pom detail adds an element of whimsical style.